I can’t explain some things. Like how, year after year after year, I can’t resist planting tomatoes out earlier than I should. It’s not a problem with other vegetables. Just tomatoes. After an initial assessment of the ten day forecast a few days ago, I decided that it was worth the risk. Now I’ll be making extra work and worry for the next week or two, trying to keep them healthy. In two days, the low is now projected to be in the high 30s. But before that gets here, there are three or four days with highs in the 80s. So instead of planting the seedlings next week and sitting back, I need to protect them from both heat and blazing sun. Ever more contraptions. This is actually working pretty well for sun protection. 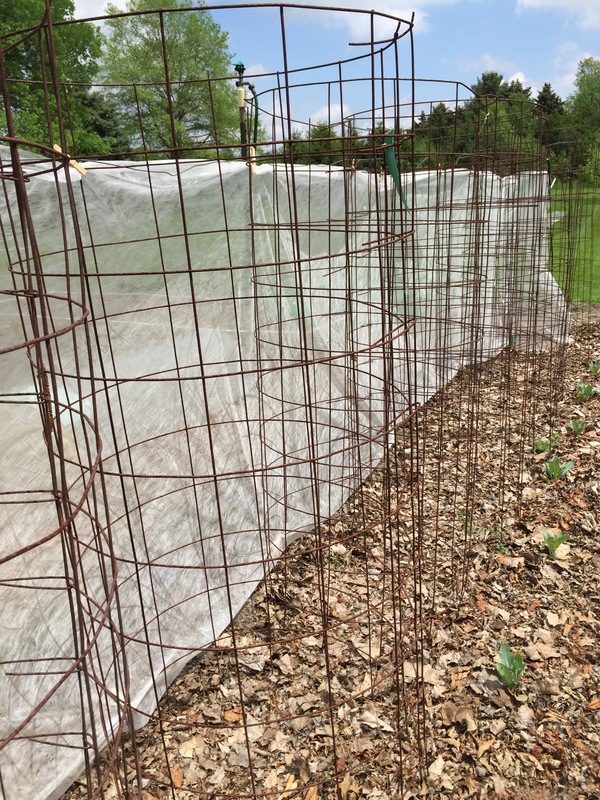 I lined up the unused tomato cages and fastened shade cloth to them. So far so good. There are t-posts at either end with a wire strung through the cages to prevent the whole thing from blowing down. Even my understanding wife is looking at me sideways. Then on Tuesday, the hoop houses and tarps and blankets will come out, and the fingers will be crossed. There are two things that I can do to solve this; one, plant the tomato seeds still later so that the seedlings don’t get so tall that I feel like they have to go out too early. And two, pay attention to the promises I make myself every freaking year to be patient. When the flowering dogwood is in peak bloom it is time to plant tomatoes, early corn and peppers. 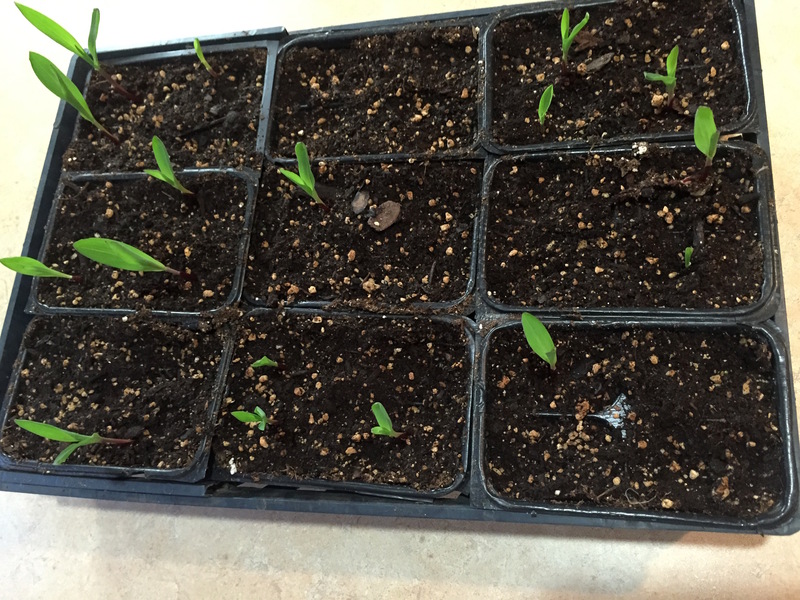 Another is to plant tomatoes and peppers when daylilies start to bloom. 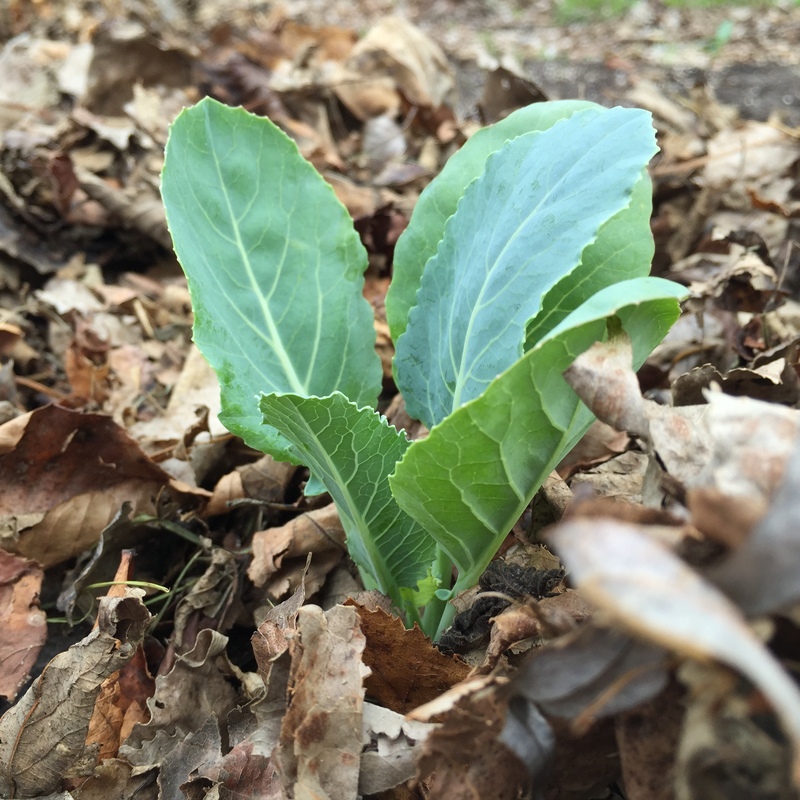 Plant corn when oak leaves are the size of a squirrel’s ear. 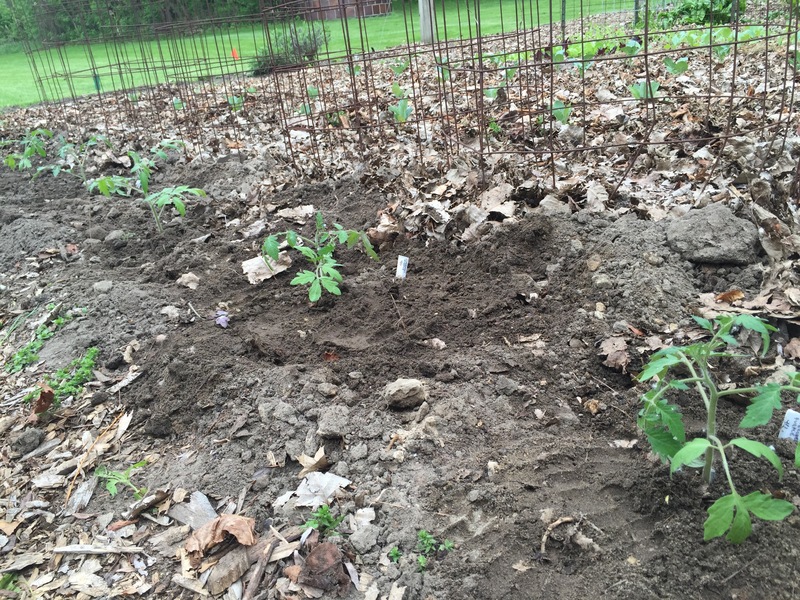 At any rate, the lilacs are blooming along with some of the lily of the valley, so I took the plunge and planted my main tomato crop yesterday. It’s not a total leap of faith. 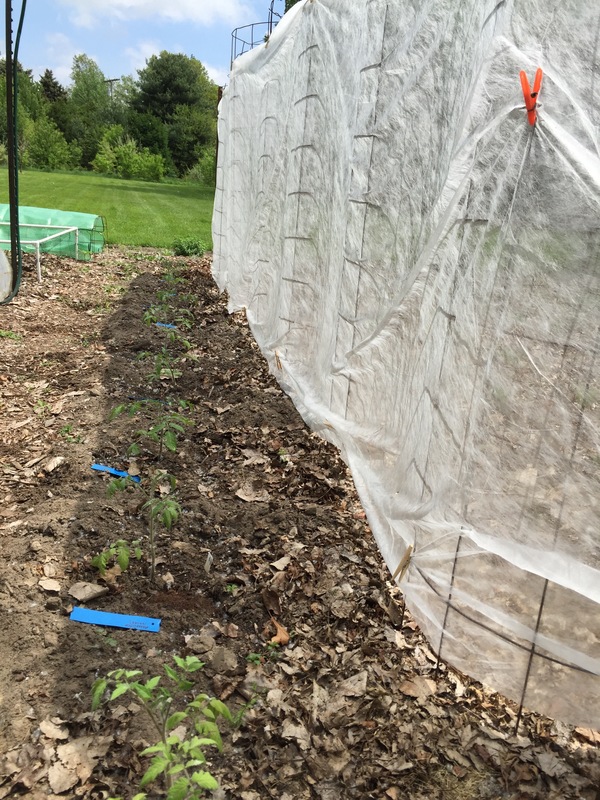 I have small hoop house to cover them if need be, and backup plants if…don’t even think it. 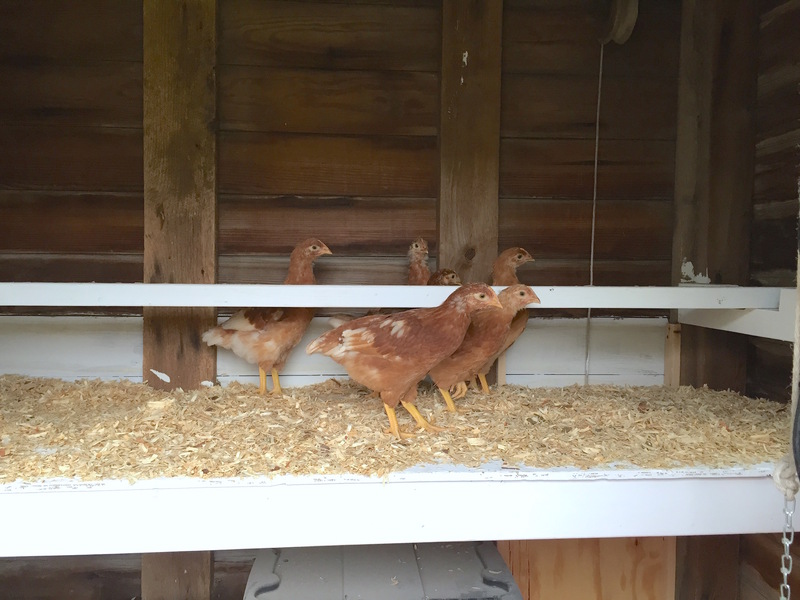 Went out to the coop this morning and found that my genius chickens had figured out the new perch ladder I’d made and were roosting on the poop board. Yay for me, yay for them. But that’s like a P.S. At the beginning of the post. I actually wanted to talk about plans and reality and tomatoes. For the past several years I’ve been starting a couple of extra-early tomato seedlings to go into the garden when it’s dangerous, under protection. Last year things went smooth as a baby’s bottom. The two seedlings took off and gave me some extra-early fruit that extended the season by several weeks. This year? Pretty much the opposite. I had four early seedlings of two varieties. 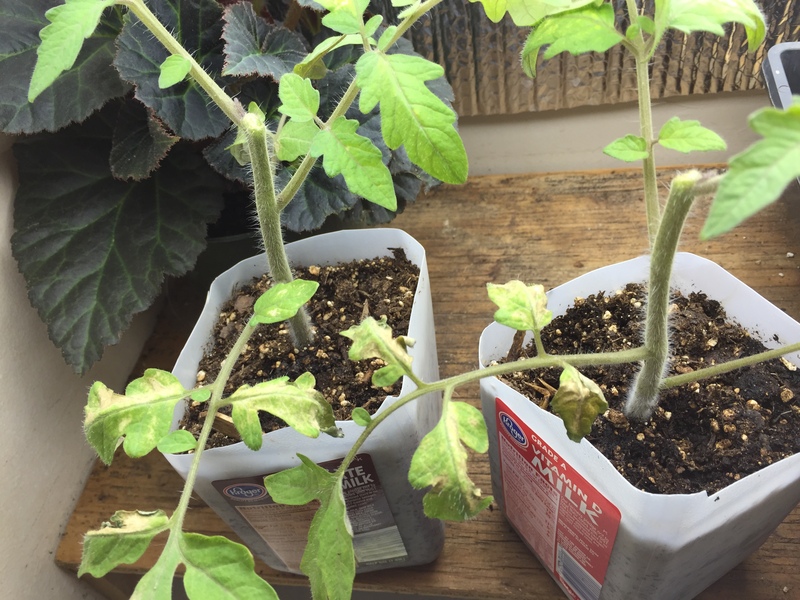 I thought it’d be cool to experiment with lopping off the tops of two of them to see if it created bushier plants, like the pepper plant that worked so well. Not so much. To add some extra kicks in the pants, I mistakenly chopped the tops off of both plants of one variety. The two early plants of the other variety grew leggy. Yesterday it was off to plan C. I put in one early seedling from the main crop seedlings and called it a day. 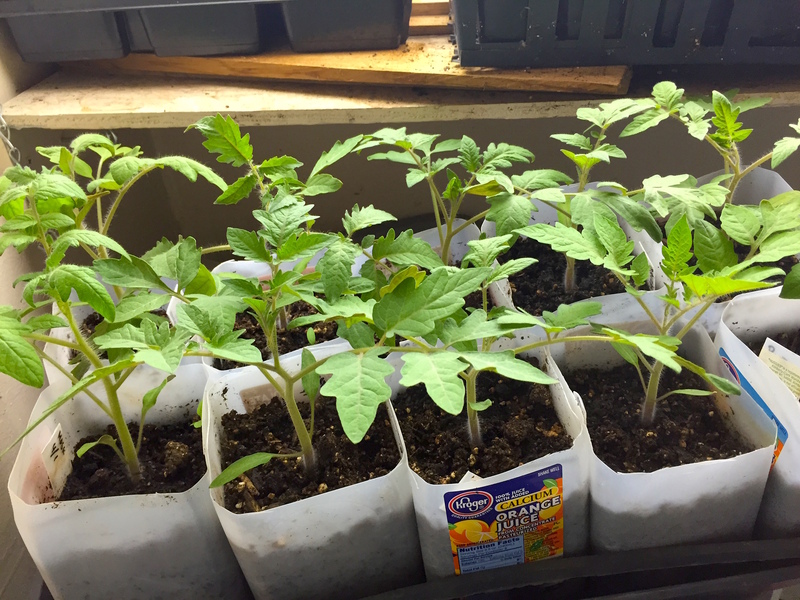 I know leggy seedlings would likely turn out fine, but somehow I just can’t bring myself to start out the tomato season that way. So besides planting about two weeks later than last year, the single plant I put in is an additional two weeks younger than last year’s early plants. 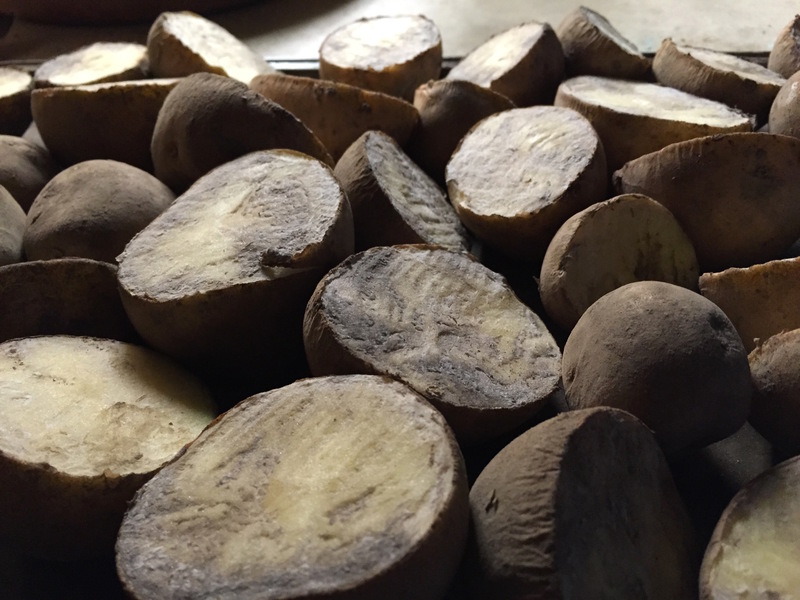 It’s easy to realize what mistakes I made; experimenting on more than one plant, not reading the labels, scheduling a vacation right in the middle of hardening off season (which meant basically starting over with that process). It’s a hard knock life. And a whole summer’s worth of dealing with weather, disease and pests coming up. How do I enjoy this so much? All the plates are in the air, spinning on their wobbly sticks. 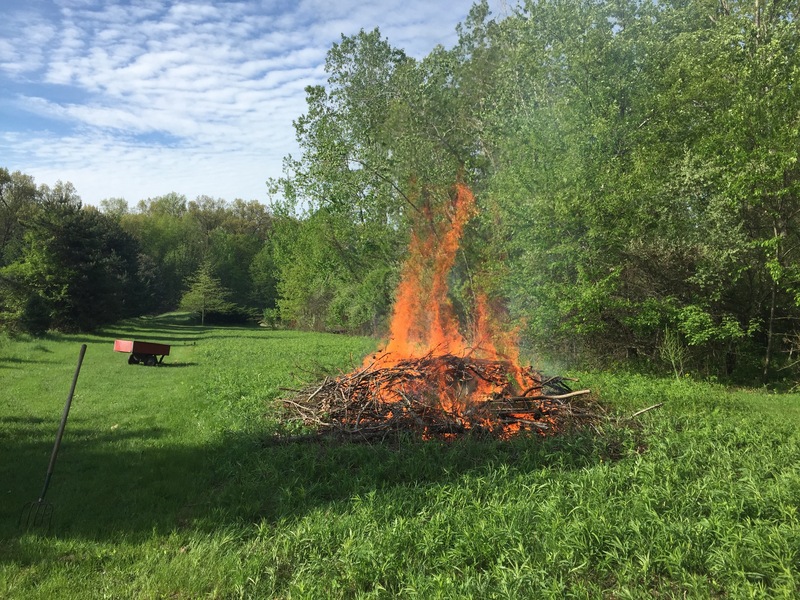 What an exhilarating time of year Spring is. 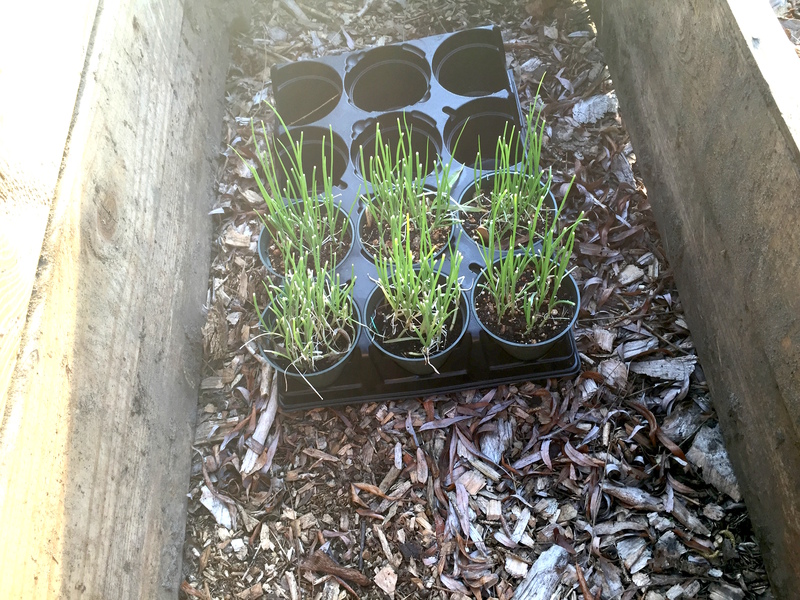 Seedlings in the ground, seedlings under lights, seeds planted, seeds sprouting. And all the while, you know you’re at the whim of nature. So you toss the dice, commit, hedge your bets and enjoy. Yesterday was a perfect second day to baby newly planted seedlings; cool, cloudy, calm and wet. I could see them stretching as tall as they could go, proud and happy. Just wait, little ones. Mid-80s coming up. That’s exactly why I always try to mulch the minute seedlings are planted. 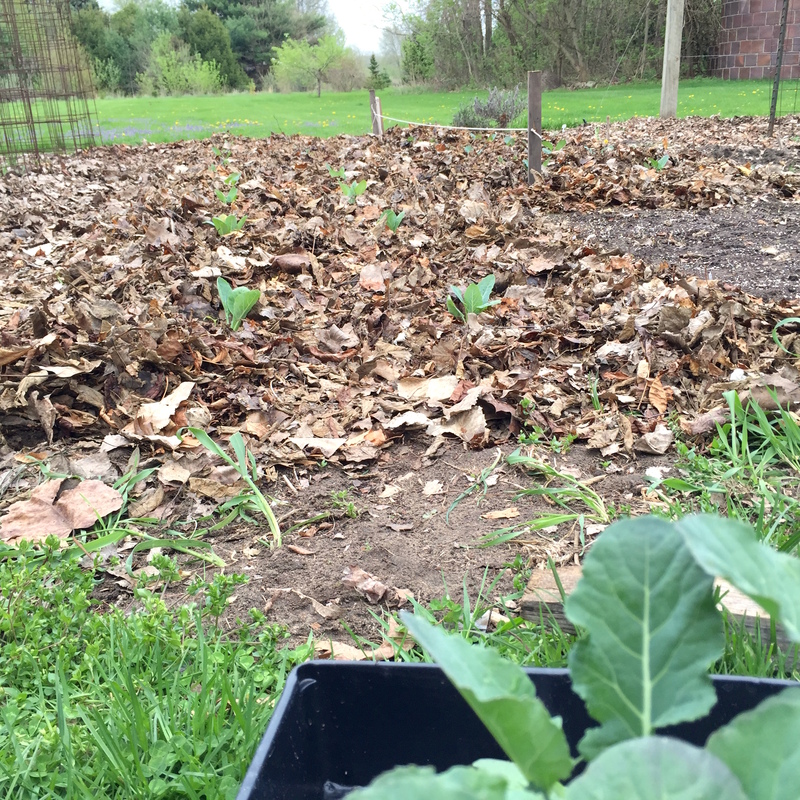 That four inch carpet of leaves breaks the wind, keeps the weeds away and moderates soil temperature. Unfortunately it does nothing for the evil mamma rabbit (I assume it was a Mamma because that’s how I roll) that I caught spying me as I stood admiring my work. 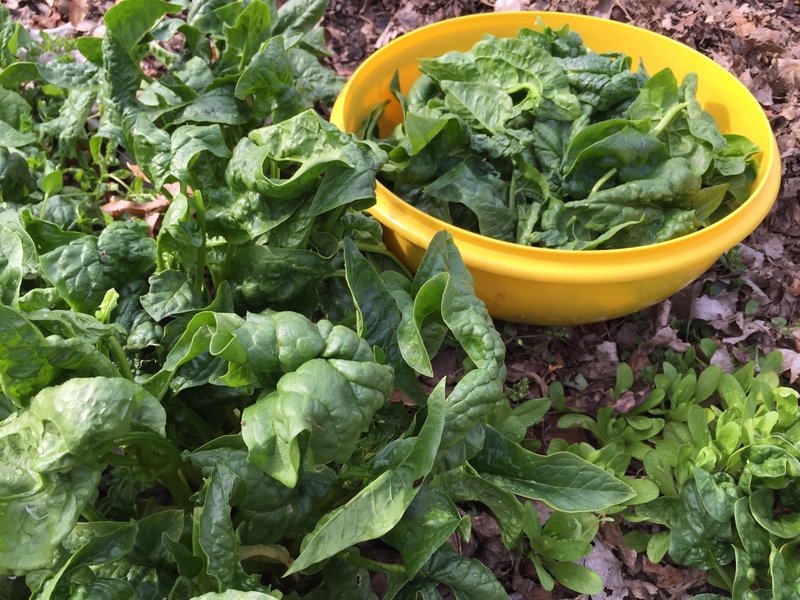 It reminded me (again) that from the minute you plant till the minute you put the garden to bed, something will be trying almost as hard as you are to get to your food first. Seeing the bunny was on of those ‘Seriously?’ moments. I had literally just finished a couple hours of planting work. As I do every year, I went inside and priced fencing. It would be cheaper to just buy several years of groceries, so no. Next best plan: free. Over the course of time, I’ve gotten a pretty good idea of which veggies the homeboy rabbits seek out. Baby lettuce is number one. They’ve always left the cole crops for their buddies the cabbage worms. So I covered the lettuce with a hoop house and smirked at the rabbit. For extra piece of mind, I made use of all the grand-dog sitting we do and plopped a couple of ripe scoops of doggie doo right next to the little cauliflower and broccoli seedlings. With an orange flag as a warning for the rest of us. 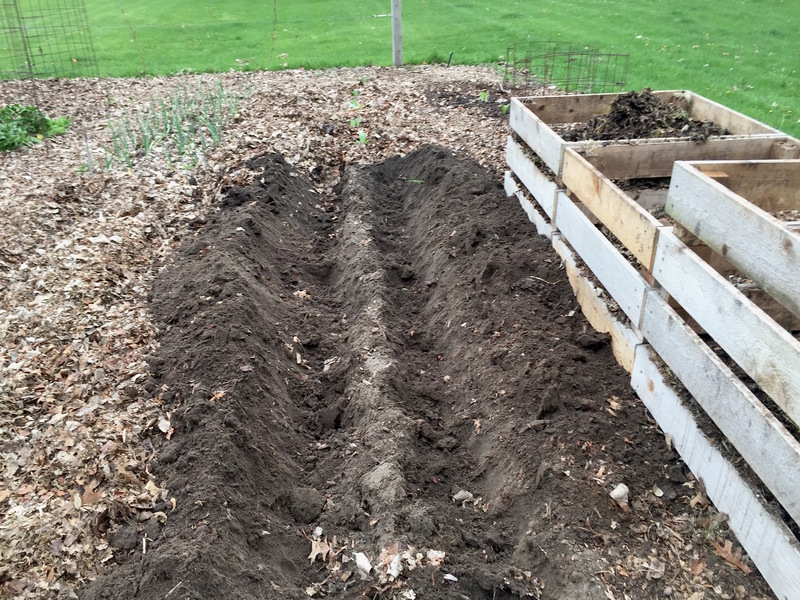 And then I made preparations to plant potatoes, something I know would make Peter, Floppsie, Moppsie and Cottontail very ill indeed. This is the time for us Michiganders to start looking forward to gardening overdose. Winter’s really dead. Hail to Dorothy! In our particular corner of the world I can feel the life waiting to bust out and run. But it’s a dangerous time for zealots. With 10 day forecasts, it’s not quite as dangerous as in earlier decades, but you can still get bit. (See ‘Me, This Year’). That’s why I believe the hardest part of gardening isn’t planting. It’s not planting. The flowers are bursting, the thermometer says yay, and tomorrow all your plants are pale and drooping. Especially with the warm-weather stuff like tomatoes and peppers, I theorize that you might actually gain on your time to first fruit by waiting those extra couple of days or weeks. 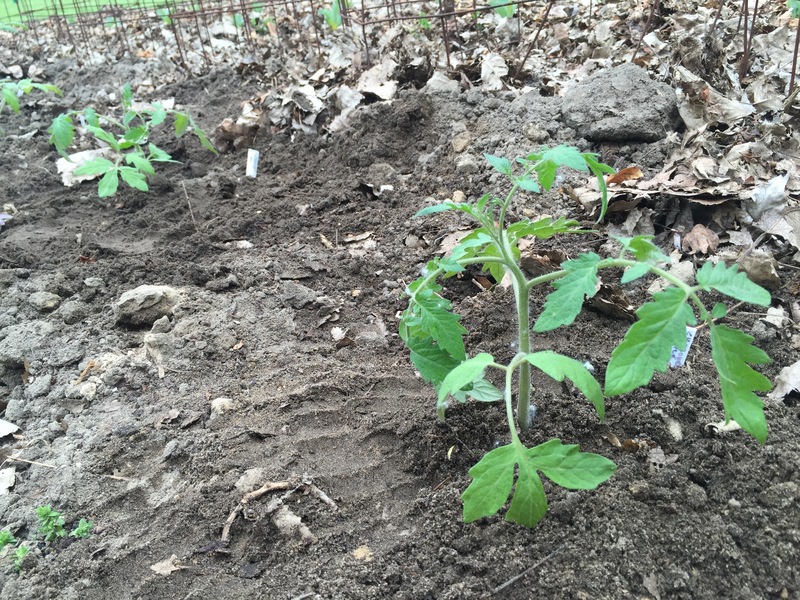 Tomato plants definitely weaken and regress for a bit when they’re subjected to too-early planting. That being said, there’s a little thrill in playing the odds with a plant or two, and crossing your fingers for a surprising warm spell. If tragedy strikes, I’m ready to lose one or two plants and also willing to pull ruthlessly and start over with a couple of backups. It’s an intricate dance here in the upper Midwest; wait too long and the tomato crop hangs there in its greenness come the chilly nights of late September. Jump the gun and you have to replant, risking the same or worse. You take your thrills where you can get them.